We have another legendary AR 77 Turntable. Truth in listening is what high-fidelity is all about at AR. A turntable, to meet the AR standard, must be strong„ utterly silent, dependable, accurate and reliable. No turntable on the market fulfils that ideal better than the new AR77-XB. 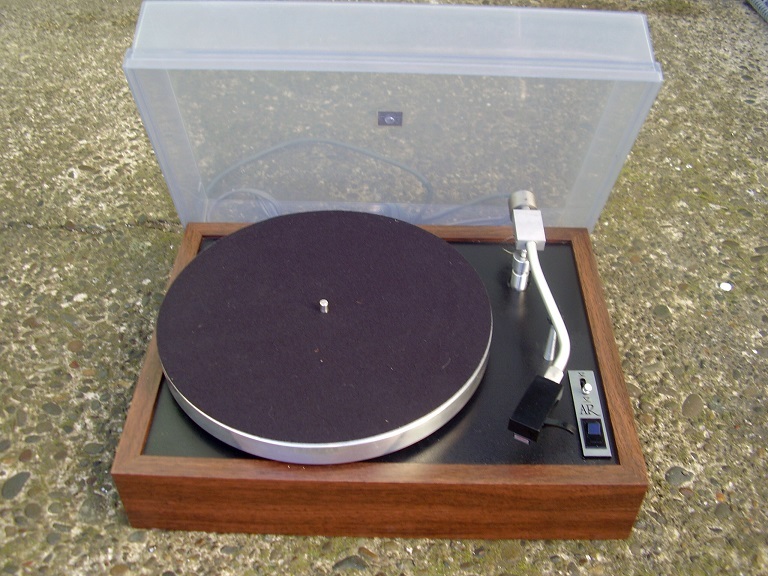 It is one of the few turntables that still regards simplicity as a virtue. It is a fully manual unit, with a viscous damped cueing system as it’s only automatic feature. designer’s maxim ‘less is more’, and its resulting benefits: low price, low maintenance, long life.